I've gotten myself quite addicted to Pinterest lately. I always saw it around on other people's blogs and saw them saying how good it was and I always thought it was just all hype. I don't know why since I'd never properly looked! I thought it was all just a bunch of pictures. 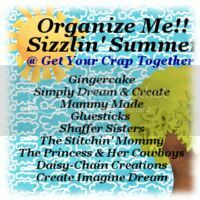 I didn't know you could find tutorials, recipes, printables...there's all kinds of stuff on there!! If you haven't done so already, go and check it out...seriously! I have so many boards on there already and I thought it would be a nice idea to showcase some of the really cool stuff I've seen on there this week. Stuff that I've seen and either put onto my "Things I want to make" or my "Things I think are mint" boards. I think the cutest thing I saw was this amigurami fairy by Mia at Petite Purls. It is seriously cute. 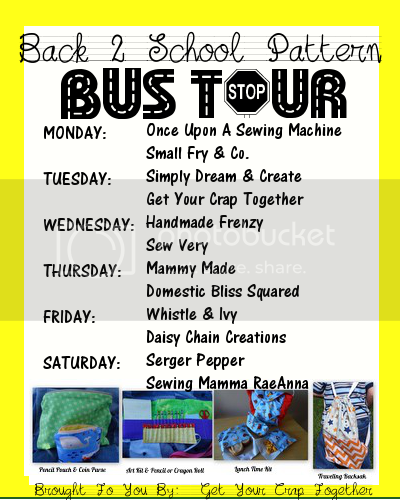 I'm going to make one each for my girls I think! And what about this? Omg! I nearly died when I saw this at Scout. It is toooo cute! I told Paul I wanted to do all the tables like this for the wedding but he's not convinced. I'm working on him haha. I saw this little skirt at Bandy Canyon. I have sooo much ribbon it's ridiculous haha. I'm definitely going to be making a couple of these. 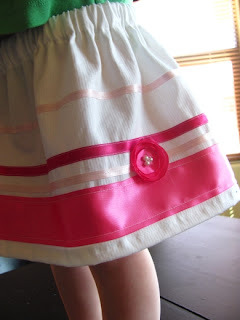 I love how a few strips of ribbon have really prettied this skirt up! 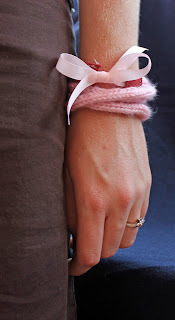 Also at Bandy Canyon, I saw this lush little bracelet, made out of an i-cord and some ribbon. I think this is absolutely gorge! 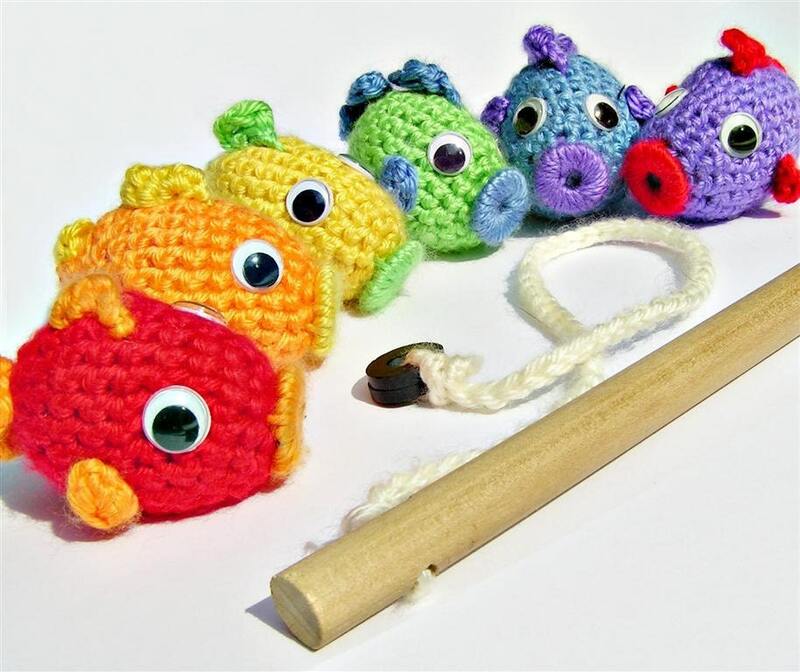 This set is sold now but look at how amazing these magnetic fish are, they were made by Little Tadpole Designs for Etsy. Leyla would love a set of these! 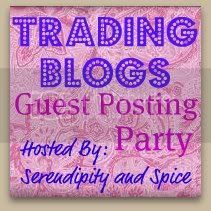 Thanks for featuring me on your blog, I appreciate it! I really enjoy all of your comments you have given me.